From Bodyguard to Captain ? .....and now attends Board of Supervisors meetings? His duties, among others, was to be by Burns side......everywhere. Jones was officially hired, by Burns, as an "investigator". 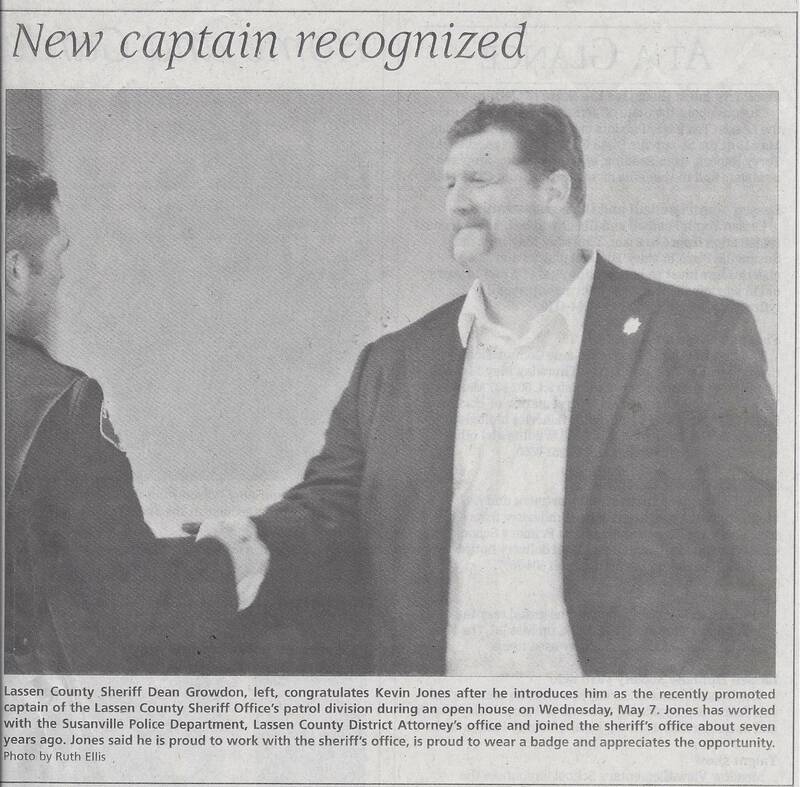 on June 2, 2008 as a "Sergeant"
District Attorney Bob Burns was hired on May 16, 2014 as the County Counsel and suddenly Kevin Jones is promoted to Captain. Where there any officers skipped over so that Bob Burns _______________ could be promoted ? Sheriff Steve Warren eliminated the Lieutenant position in the Sheriff's Department during his tenure. The Sheriff's Department had one Captain prior to Jones sudden promotion.